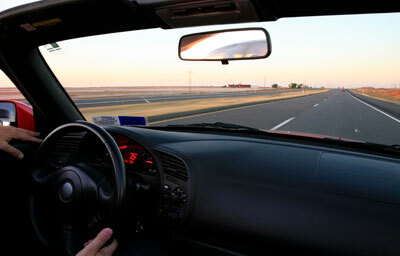 In the course of an average year, Houston auto glass is exposed to a wide range of temperatures and weather conditions. Keeping it clean and free of dirt and water spots can improve the appearance of your vehicle and can ensure clear visibility on streets and highways. Using safe and effective auto glass cleaning techniques can help you maintain the value of your car or truck and can increase your safety behind the wheel. Here are six proven tips for cleaning and maintaining your windshield and windows for maximum shine and visibility. Before cleaning interior glass, taking the time to vacuum and clean other surfaces inside your car or truck can help to prevent dust from settling on freshly cleaned windshields and windows. If you choose to use a protective coating spray to maintain the beauty and longevity of dashboards and door handles, waiting to clean windows and windshields until after this treatment has been applied can allow you to remove any excess spray that may have landed on glass surfaces. By planning the cleaning process in advance, you can avoid wasted effort in cleaning the same areas twice. The caustic properties of ammonia make it an effective glass cleaner for household applications. However, those same properties can degrade the elasticity of rubber and vinyl with repeated or prolonged exposure. Ammonia fumes can be dangerous, especially if used in the confined interior of a vehicle. Additionally, the bleaching action of ammonia products can strip or smear tinting on windshields and windows and can cause serious damage to leather upholstery inside the vehicle. Avoiding the use of ammonia and ammonia-based products altogether can help in retaining the value of your vehicle and protecting its appearance over the long run. Rather than using household cleaners with ammonia, selecting a cleaning product specifically designed for use on cars and trucks can ensure the integrity of rubber, vinyl and plastic components and can produce a brilliant shine. Look for green-friendly and biodegradable products that work to reduce water spots as well as removing debris and streaks; this can reduce the chance of etching or pitting due to hard water deposits on automotive glass. Paper towels and other paper-based products can leave fuzz and debris on car windows. For most glass cleaning projects, waffle-weave microfiber cloth towels offer the best combination of water absorbency and dust-free shine. Be sure to finish up the window washing process by buffing the glass with a clean, dry towel to achieve the perfect shiny finish. Cleaning your Houston auto glass in full sunlight can reduce the efficiency of your efforts by causing cleaners and water to evaporate too quickly. By choosing a shady spot or a cloudy day to perform your cleaning duties, you can maximize your efficiency while achieving better visibility and improved appearance for your vehicle. 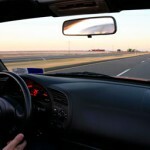 Your windshield provides important structural support for your entire vehicle. Performing any needed windshield repair for minor cracks and dings can extend the life of your auto glass and can provide added safety for you and your passengers. In some cases, prompt repairs can eliminate the need for a full windshield replacement and can restore the structural integrity of these vital safety features. Houston auto glass shops can often provide mobile windshield repair services for their clients, allowing them to enjoy added convenience in resolving minor cracks and chips quickly and efficiently. These tips can help you maintain your vehicle’s auto glass for added visibility and enhanced structural stability. By taking steps to ensure a clear view in all directions, you and your passengers can enjoy a safer journey on Texas streets and highways.